Auto start/stop with paper jamming protection. Ensures confidential material is never compromised. Wastebin includes window and recessed handles. High level of performance and features. 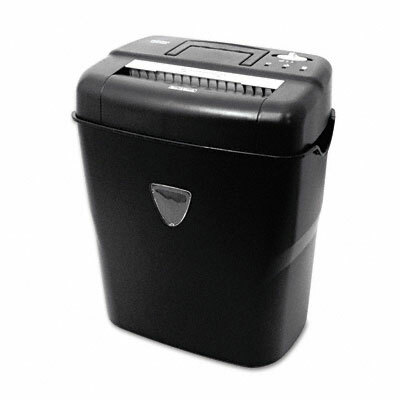 This versatile shredder is tough enough to handle any task. Features auto start/stop with paper jamming protection for smooth operation. You'll be impressed with the quiet power output of the motor. Keeps your desk clean and organized while ensuring that confidential material is never compromised. Bag-free design reduces cost to operate. Wastebin includes window to indicate material level; and recessed handles to make waste removal simple. Delivers a high level of performance and features for home or office.